Arabian Travel Market has rapidly evolved to become the largest travel and tourism event in the Middle East. 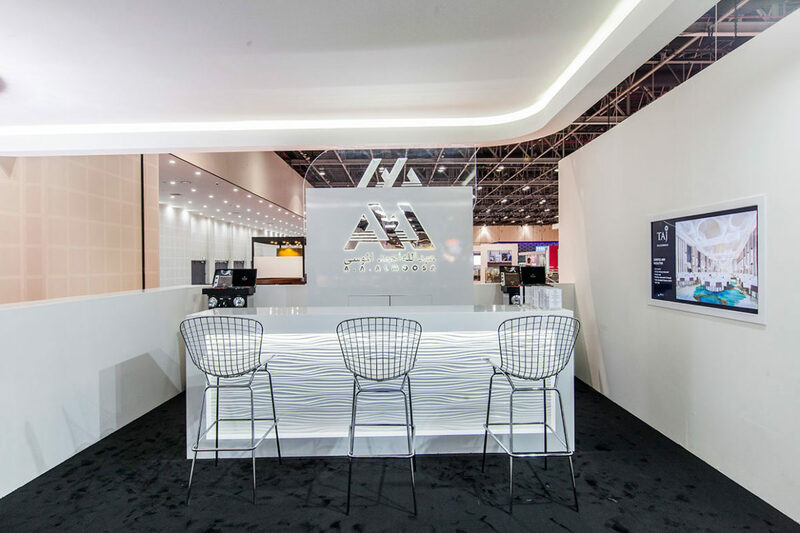 Hosted annually, the B2B event brings together over 2,500 companies showcasing the latest trends and technologies in the hospitality and aviation markets. The 24th edition ran from the 22nd to the 25th of April at Dubai World Trade Centre. A.A. Almoosa’s stand inspired by Mirna Tenidis. 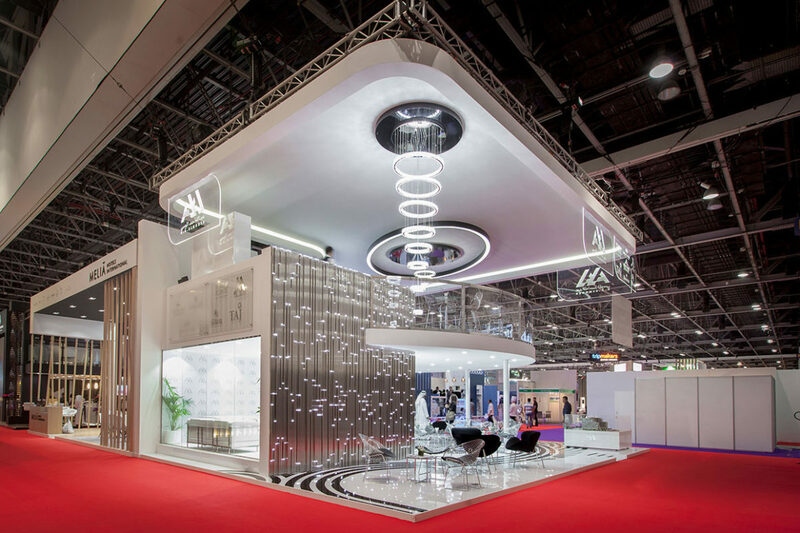 As they were exhibiting for the first time at ATM, a detailed plan was developed to meet the client’s expectations and create a unique and captivating atmosphere. 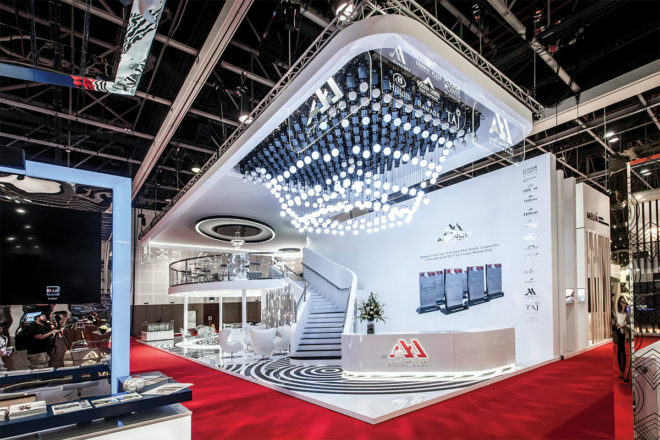 The first night and day of the challenging build-up were dedicated solely to the installation of the truss, ceiling, crystal chandeliers and kinetic chandelier. Most of the elements used were reflective materials in order to play with light. These elements were incredibly fragile so our team had to carefully place each of them to bring this stand to life.